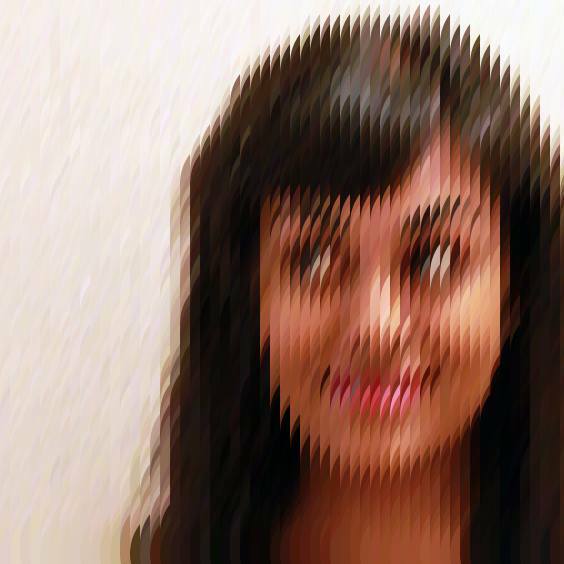 Roopa Vasudevan is an artist, creative coder, and researcher currently based in New York. She is interested in utilizing technology in order to explore and expose conscious and subconscious patterns in our culture and behavior, and in exploring how computers and algorithms can help us better understand the relationships we have with ourselves and each other. Her work has been exhibited at venues around the United States, and has been featured by Reuters, Slate, the Huffington Post, the New Yorker blog, Jezebel, GOOD Lifestyle, Complex, PSFK, and The FADER, as well as on American, French and German television. Roopa holds a BA in Film Studies from Columbia University, and an MPS from NYU’s Interactive Telecommunications Program (ITP), where she also served as a post-graduate research fellow during 2013-2014. She is adjunct faculty at ITP and at Fordham University, and will be an Assistant Arts Professor of Interactive Media Arts at NYU Shanghai starting in January 2016. She is also an upcoming resident in the SPACES World Artists Program (SWAP) at SPACES Gallery in Cleveland, OH. Constantin Hartenstein is an installation and video artist living and working in Herzberg, Berlin and New York. Janine El Khawand is a cultural organizer, illustrator, educator & activist based in Beirut, Lebanon. She is the co-founder of Space27- a feminist artist-run space & collaborative work studio that aims to challenge who gets to have a voice in the art world, working towards a more diverse and inclusive art scene.